Courtesy City of Fort Wayne The commercial-residential mixed-use project approved last week for the Riverfront is exactly the sort of development envisioned when city leaders conceived of the downtown project. City Councilman John Crawford, R-at large, calls Continental Property Group's plan for a seven-story, mixed-use center on the riverfront “the tipping-point project” – a validation, in a sense, of all the public-private developments and quality-of-life improvements already under way in Fort Wayne. This time, Crawford stressed, the developer approached Fort Wayne, attracted by the overall effort to create a dynamic downtown. 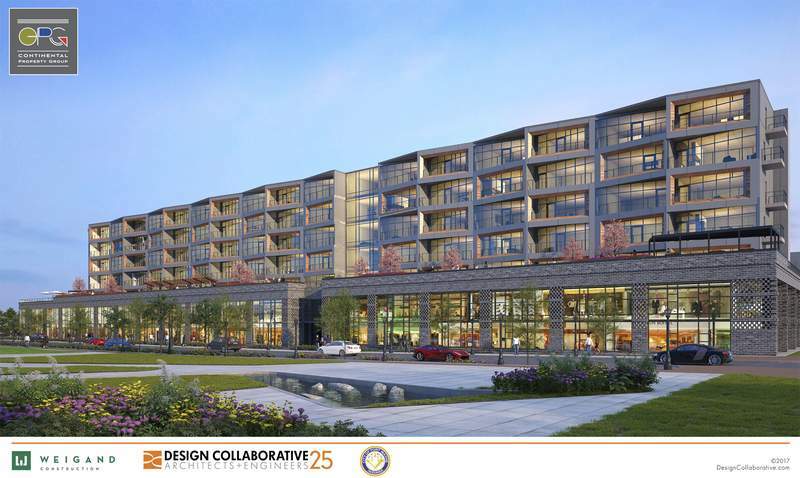 He sees a “straight line” from the decision to build Parkview Field to Continental's desire to put up $61.7 million to create a complex of apartments and retail space on the northeast corner of Harrison and Superior streets. A lot is happening on the north side of downtown. Each effort has to stand on its own merits, but it's also important to see how they may interrelate. Residences on The Landing or in Continental's development and a boutique hotel could mean more of a critical mass of people enjoying the riverfront, shopping at riverfront stores or strolling through the arts campus. The city's decision to buy the former Rifkin North River property is not without risk, but it's easy to see how ensuring the right kind of development there could be important as more parts of the riverfront puzzle begin to fill in. One of the most attractive aspects of Continental's proposal is that all the upfront money will be private. An accompanying 1,000-space parking garage will be built by Continental on land owned by Allen County, and the structure will be leased to the city for $1.5 million a year. But the city says the cost can be covered by parking receipts, tax increment financing revenue generated by the new development and county economic development income tax. It will not require bonding or debts. The idea of essentially paying a developer to build a parking garage didn't sit well with Councilman Jason Arp, R-4th, who cast a “no” vote in the Redevelopment Commission meeting Monday. But such a structure also makes sense in the wider context of bringing more residents and visitors to the area. The arrangement also involves some tax breaks that will require the City Council's approval next month. As always, the council should practice due diligence before signing off on such a complex deal. But from what can be known at this point, Continental's plan is exactly the kind of enhancement the Riverfront project was supposed to attract, evidence of the wisdom that underlies Fort Wayne's revitalization effort.